The kids are alright - Indian cricket and a momentous win at Lord's - No Sacred Cows! Posted July 23, 2014 by shyamuw & filed under cricket, Indian abroad. I was lucky to be at Lord’s this past week to watch an extraordinary game of cricket. 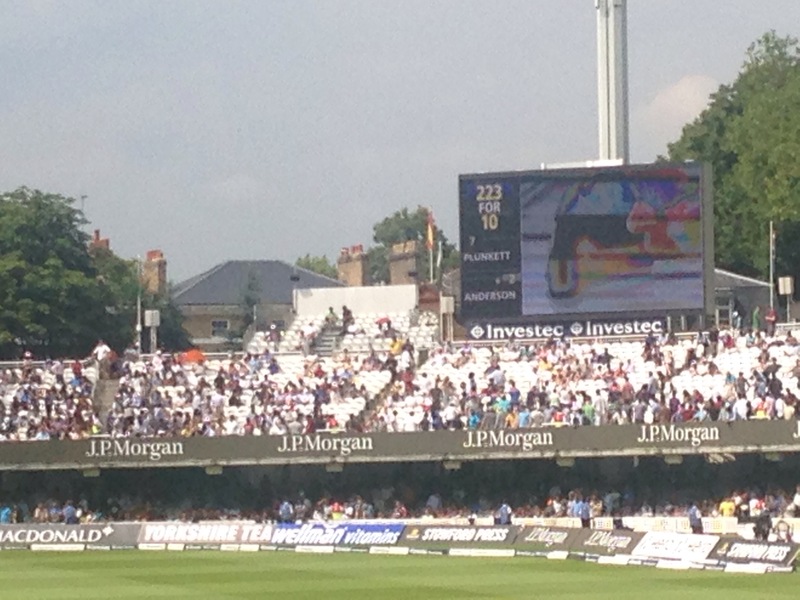 Over the next two days, I will be writing more about my time there, the experience of watching a game at Lord’s, the food and drink at Lord’s all accompanied with plenty of pictures and videos. Before that, here is my take on the win and its significance for Indian cricket. 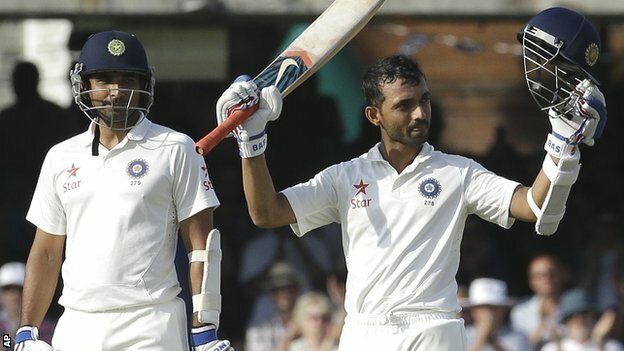 Ajinkya Rahane born in Sangmaner, Maharashtra is all of 26 years old and 5’6”. Converted from an opener to a middle-order bat by team management, he took to the English attack on the greenest pitch known to man. Even at 145/7 on the humid Thursday of the test, Ajinkya mixed excellent judgment with the reflexes of a young opener to take India to 295. His second fifty was awash with boundaries to all parts of the ground with strokes that radiated experience way beyond his years. It is easy to watch parts of his stance, follow-through, walking and demeanor and slot him in as this generation’s Dravid, Laxman or even Sachin. Truth is he is none of them. He is his own batsman. He gives India a dimension and value it is very lucky to have. He did more on day 1 of a Lord’s test and in the first innings of a Lord’s test than the many legends before him. He is his own man and we are lucky we get to watch him bat. What he did on Day one was unprecedented and an obvious sign of things to come. He is doing quite alright. 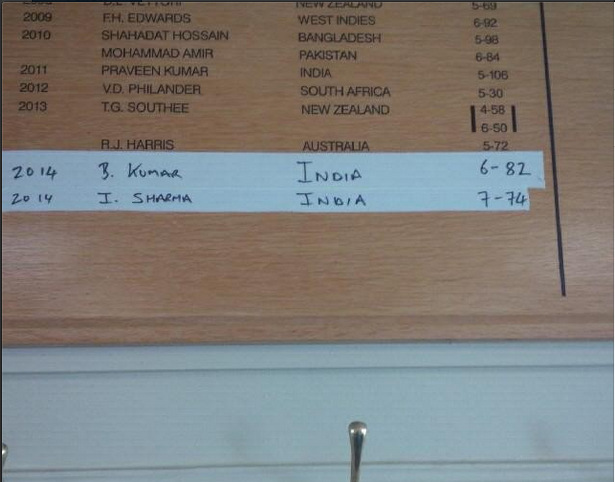 Bhuvneshwar Kumar is all of 23 years old and 5’10”. He is lean, slender and straightforward to a fault. If he wasn’t better at cricket than 99.9% of the universe was, he would be perfect for the role of the boy next door on any Indian movie or sitcom. Take a look at the photos he has posted of himself on his Twitter feed? This is every 24 year old brown male with a Twitter account. He is the boy every girl wants to take back to her mum. On the first four days at Lord’s and especially on the Friday, he was every cricketer you ever wanted to play for India. He was fearless with the bat playing more than a sidekick to Ajinkya Rahane on day one and to the Rajput warrior on day four. With the ball, he bowled a marathon seventeen over spell with the discipline, accuracy and swing rarely provided by bowlers to Indian captains of the past and present. He was the bowler Indian fans have always wanted and felt we deserved. He troubled the left handers consistently to provide cathartic relief to a generation haunted by Jack Russell and Shivnarine Chanderpaul marathons. With six wickets and 80+runs, he gave M S Dhoni the all-round performance so sorely needed to flip a test around. 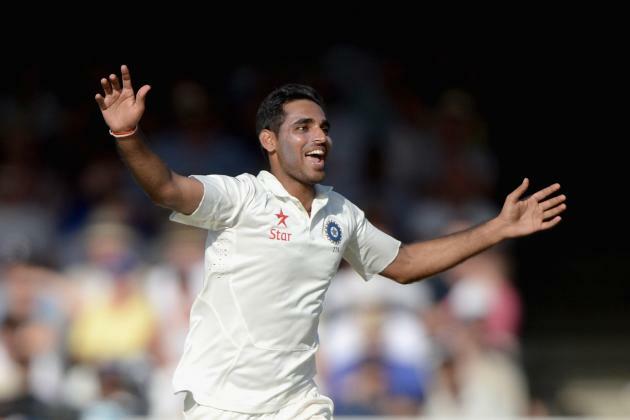 Bhuvneshwar Kumar needs our love, nurturing and support. He is not Zaheer Khan, Javagal Srinath or Sreesanth. What he did on day two of the test match especially to keep India in the game and hold one end up as an effective attacking bowler was unprecedented. For now he is the bowler we never had, the boy we all wished we knew and he is doing quite alright. Murali Vijay is 30 years old and 6’1”. He is no one’s favorite cricketer. How little his second innings knock was mentioned post-game by journos was evidence of how easily he will be forgotten when he does stop playing for India. At Lord’s he was everything India ever wanted out of its opener. He left 200+ deliveries outside the off stump and saw thru tricky periods on Thursday, Saturday and Sunday. Alastair Cook referred to his inner steel in his post-game speech. You know who showed inner steel? Murali Vijay. It is obvious he has worked on his technique and attitude and slowly but surely developed the temperament to be one India’s best test openers ever. Like Mahesh Sethuraman mentioned on Twitter, Vijay’s second innings knock was one of the best knocks played by an Indian opener and it will only become more legendary and valuable with time. Great innings. One of the best by an Indian opener abroad. 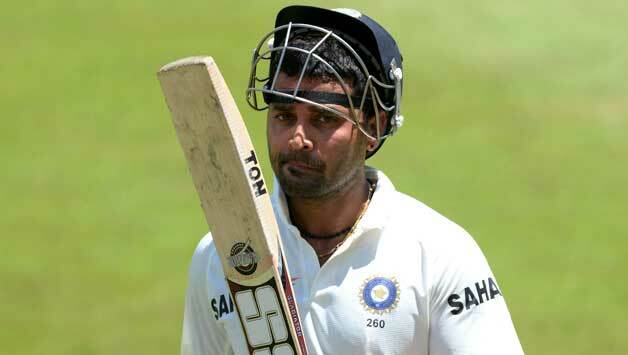 Murali Vijay is not Sehwag, Gambhir, Bangar or Gavaskar. What he did on Day three of the test – do the opener’s dirty work and to keep India afloat and the swinging ball at bay was quite unprecedented. He is his own man he is doing quite alright. Ravindra Jadeja is 25 years old and 5’10”. He is the sort of cricketer that Pakistan seemed to produce in bunches in the 80’s and 90’s that Indian fans longed for. He oozes with natural athleticism and talent while bringing a dimension of fearlessness not seen before. He was at the heart of the controversy at Nottingham and the English fans booed him in unison thru the test. Indian fans came up with their own chant for him putting him in the limelight virtually every second of the game. He was nimble and athletic on the field, bowled with the precision and to the field the captain had set for him and batted with a panache unseen from an Indian #8. He will have some days when his fearlessness will frustrate the fan base immensely but more often than not he will be the dynamic all-rounder capable of turning a game on its head. He will be what India has not had in a long time and he will be one that Pakistan fans wish they had. What he did on Day four of the test was the kind of all-round performance that the domestic system did not seem capable of. Sir Ravindra Jadeja is unprecedented and he is his own man and he is doing quite alright. Ishant Sharma is only 25 years old and already has been in more incidents of note than Forrest Gump. It is easy to forget how many bowlers only truly figure it out in the late 20’s and that Ishant is older than he really is because Ishant has been around for so long. He put together a spell of bowling on day five that Indian fans have only seen on the receiving end. He bowled to his field, bowled what the captain wanted and stuck to a line and length amidst minor carnage. Performance on the biggest stage has to override performance on smaller stages and what Ishant did at Lord’s should buy him the goodwill of fifty bad ODIs. There have probably been a few Ishant Sharmas in India’s past but no one picked up seven wickets in the fourth innings of a test to win a match for the country. 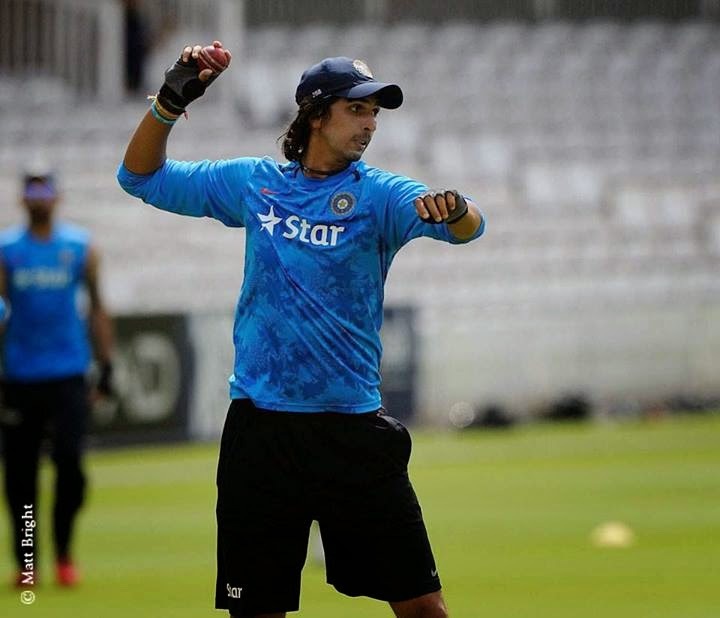 Ishant Sharma is one of a kind. What he did on Day five was unprecedented and he is doing quite alright. Forget the giants of the years past. Forget the scars of tours past. Forget the anxieties of a future after Dhoni. With emergence of Ashwin, Bhuvi and Jadeja as legitimate international test all-rounders, India suddenly has the luxury of playing nine batsmen and five bowlers in tests abroad. Rohit Sharma probably walks in to every test XI today but India’s. Ashwin probably makes it ahead of all the spinners across cricket not named Ajmal or Jadeja. Whatever your political beliefs, ‘Acche Din aanewale hain’. The kids are doing alright…. Great writing Shyam. Coming out straight from your heart. For ‘achche din’ to come we need a strong and supportive captain. It is going to be a challenge. Rohit might fit the bill but first he has to cement his place which means he has to conquer his temperament. Like I said earlier, take to reporting. Could probably show these to Mr Sukumar for showing it to people who matter in the reporting field. @shankar Thank you so much!